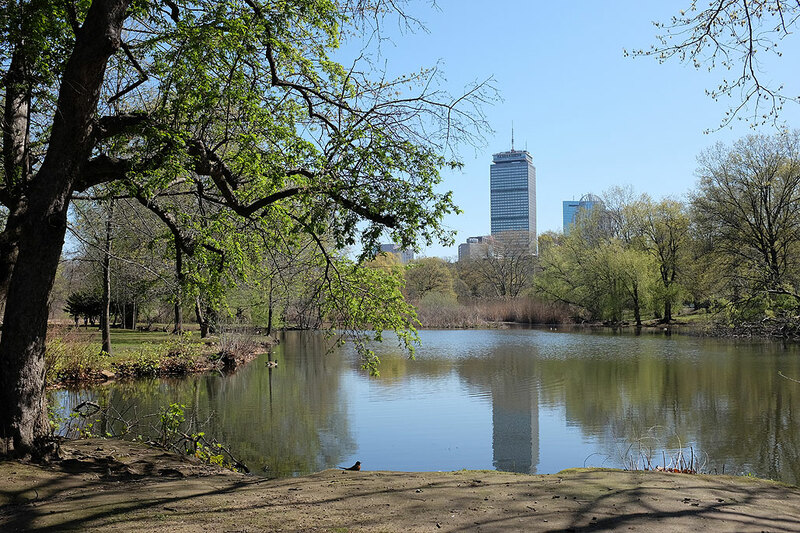 The Fens in the Back Bay is one of the gems of the Emerald Necklace and a treasure of Boston. It is also the latest expedition in our Urban Safari series. 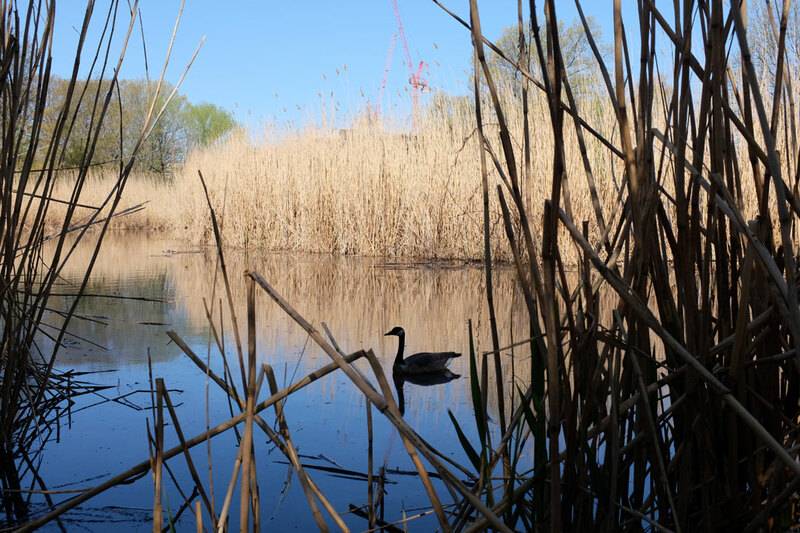 Frederick Law Olmsted, landscape architect of New York City’s Central Park, transformed a stagnant saltwater marsh in the Back Bay into an urban oasis to the benefit of residents, wildlife and people, over a hundred years ago. 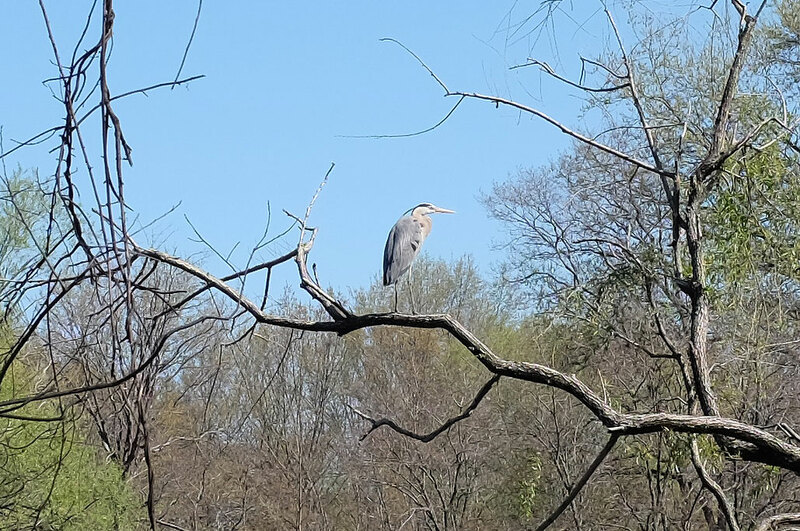 We have passed by the Fens countless times on our way into the city, but have never really stopped to enjoy it the way it was envisioned by Olmsted… deliberately, leisurely, and on foot. Last week, we did just that. We set up “camp” close to the Muddy River section of the Back Bay Fens, where you will find the Emerald Necklace Visitor Center. From the Visitor Center, the Museum of Fine Arts and Isabella Steward Gardner Museum are just a few minutes walk away. The spot is a nice starting point because there is plenty of on-street parking, especially if you arrives before 10AM (when the MFA opens). Biking and walking paths wind throughout the Fens. Red Sox fans, out of town or otherwise, may be interested to know that Fenway Park Stadium is located just on the other side. Spring is an excellent time to visit the Fens, not only for the loveliness of its flora but for the surprising bountifulness of its fauna. 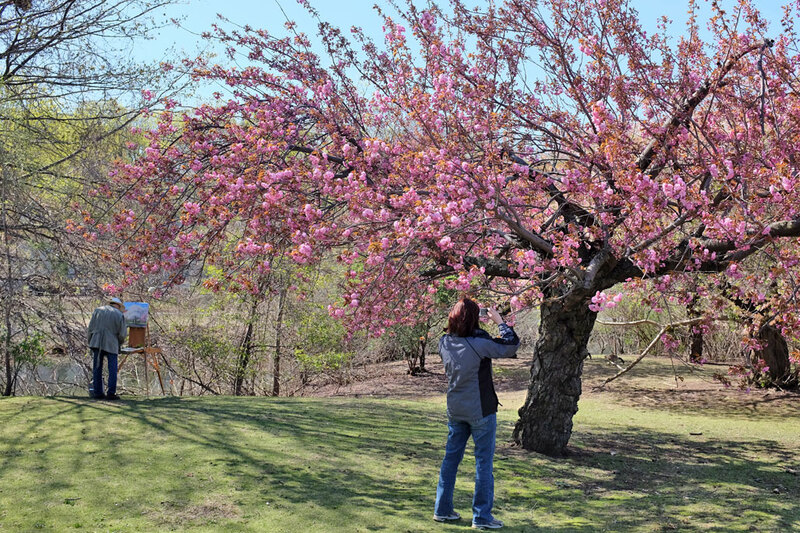 The trees are blooming, but the cover has not come in fully and it is still easy to spot many of the inhabitants. For the bird watchers, the board outside the Visitor Center provides a running tally of what’s been spotted in the area to date. NOTE: We also spotted a chipmunk, but he was too quick for us to capture with the camera. We also saw a couple of squirrels (common gray ones) building a nest. The other wonderful part of the Fens is the tall reeds along water sections. They offer a visual and sound barrier to the buildings and traffic noises around it. If you ignore the construction crane in the photo, this shot could be somewhere without cell service 🙂 Still, the natural fencing gives the birds plenty of cover for nesting and such. By 10AM we had our fill and were ready for “second breakfast.” Fortuitously, it was also when the MFA opened its doors. Declaring the outing a success, we decided it was time to go “on the hunt” for coffee and refreshments. Spring is quite beautiful in the Fens and we highly recommend readers visit if they are in the area. We will be back in the Fall to check out the changing colors of the foliage. We expect that it will be pretty spectacular as well. Look for the write-up in October!